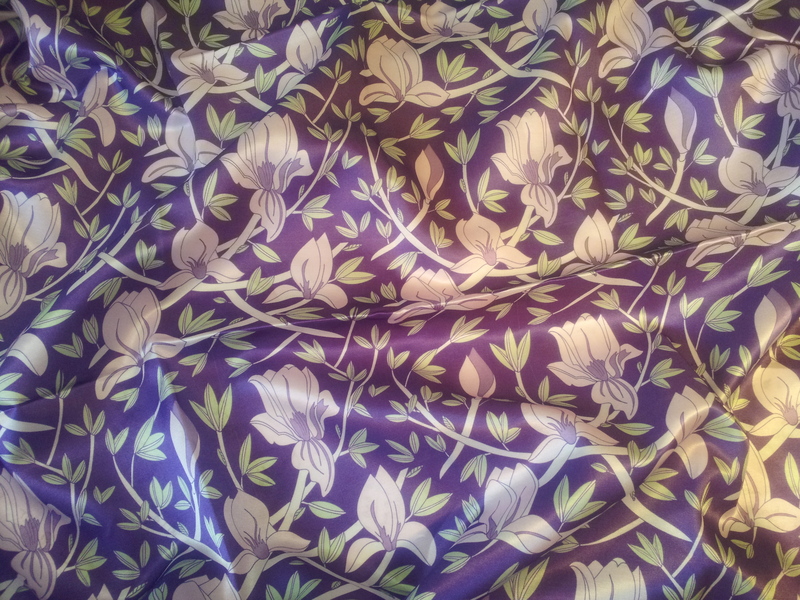 ‘Purple Magnolia’ Fabric Design – finally arrives…just in time as well!! I am even more excited this morning (if that is possible) as the long awaited ‘Purple Magnolia’ has finally arrived from Spoonflower (after i had accidently clicked on it to be delivered by banana boat instead of Fed Ex!! (what a numpty hey? )….i have sat and prayed that it would arrive on time..and today it popped through the door!